Source: Nueva Sociedad. All Rights Reserved. Venezuela was once a rich country. Many say it and repeat it: in the past, the country’s growth was founded on the largest oil reserves in the world. It is now the poorest economy in South America in terms of growth of per capita GDP. Venezuela is going through the worst economic crisis in its history, with an inflation rate exceeding 500%, a highly volatile exchange rate and critical levels of debt that have increased fivefold since 2006. This crisis has aggravated the long-standing "economic war" squarely opposing the business sector and the government. Over the last half decade, protest and repression cycles have reinforced a polarisation of Venezuelan society, already divided in class and partisan terms, and has established a zero sum political culture where the winner takes all, including in elections. In this scenario, violence has reached what appears to be a point of no return. What seems to be at stake here is democracy’s ability to combine transformation and resistance forces. The crisis in Venezuela has also been a major focus of debate in regional organizations. The Union of South American Nations (UNASUR) and the Organization of American States (OAS) have expressed concern about the weakness of democratic institutions, impunity, and the harassment and criminalization of dissent in the country. A gendered approach redefines both Venezuela’s democratic "promise" and its democratic "trap". However, I would like to argue here that the protection of people’s rights and the right of people to decide their own (democratic) destiny in Venezuela is not neutral from a gendered perspective. That the democratic promise is rooted in institutional and constitutional rights should not exclude other ways of addressing the issue of rights and self-determination. A gendered approach redefines both Venezuela’s democratic "promise" and its democratic "trap". For more than a decade, Venezuela presented itself as a direct and inclusive alternative to dominant approaches based on the commodification of development and democracy. It was a place where, at the end of the 1990s, the neoliberal model’s failure materialized, opening up new possibilities for "post-neoliberal" experiments throughout the region. For more than a decade, these experiments seemed to work. According to the World Bank, the proportion of people in Latin America who live in extreme poverty - defined as earning a daily income of less than 2.50 dollars - fell by half between 2003 and 2012. Poverty reduction was accompanied by a strong 40% increase in revenue for the lowest strata of the population. In the case of Venezuela, social, political and economic reforms led to a spectacular 50% reduction in poverty and a 65% reduction in extreme poverty between 1998 and 2012. Public services and the number of doctors increased in the primary health sector too, which meant access to medical care for millions of poor Venezuelans. In fact, for a long time, Venezuela's healthcare system was a source of pride for the government, which pioneered welfare policies in the region. In 2008, for example, projects related to the healthcare sector in collaboration with Cuba amounted to 1.355 million dollars, including the emblematic program Oil for Doctors by which Venezuela’s subsidized oil exports were exchanged for medical staff and training programs. Within this framework, programs such as Barrio Adentro provided free basic medical care, and Misión Milagro provided eye care. Other programs have addressed the needs of disabled people. The promise of regional welfare policies was possible while Venezuela enjoyed its oil bonanza and was able to increase significantly its currency reserves. But resource-driven social welfare created a kind of trap for the Socialist promise. As the international oil industry slowdown progressively affected Venezuela, the scarcity of resources generated widespread social deprivation and, inevitably, a social and political crisis. Today, thousands of patients cannot get essential medical treatment, and many more are on the waiting list to undergo life-saving surgery. Doctors lack the necessary resources to operate or salaries to make ends meet. Today, thousands of patients cannot get essential medical treatment, and many more are on the waiting list to undergo life-saving surgery. Doctors lack the necessary resources to operate or salaries to make ends meet. Diseases such as malaria and diphtheria, which had been stamped out or controlled, have made a comeback and are now a major cause of an unprecedented humanitarian crisis. A fractured Venezuela is dividing regional politics. The political and ideological differences between South American nations have taken UNASUR to the point of inaction, while Argentina, Brazil, Chile, Colombia, Paraguay and Peru defected from the organization in April 2018 to form the Lima Group joining the US government in opposing the Venezuelan government and the re-election of Maduro on May 20, which they considered "illegitimate". The Lima Group is also leading a strong but divisive campaign to oust Venezuela from the OAS on the grounds that the country contravenes the Inter-American Democratic Charter (CID), which establishes that "any unconstitutional alteration or interruption of the democratic order in a State in the Hemisphere constitutes an insurmountable obstacle to that State’s government participation in the process of the Summits of the Americas". Claiming democratic rights is a political battle. It was, after all, the promise of South American regionalism and inter-American relations. But the democratic imperative encoded in regional governance is lacking both definition and criteria on how to defend "collective" rights, which are key to any democratizing process. 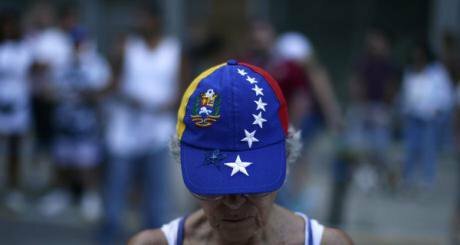 The crisis in Venezuela and the social damage it has caused are not neutral. They affect women’s rights and choices in different ways, particularly in terms of reproductive rights and sexual health, generating vulnerabilities and gender based violence. Venezuela has one of the highest teen pregnancy rates in the world and in Latin America – since even before the economic collapse. Contraception was a right women enjoyed during the Socialist government. But since 2005, the Venezuelan Pharmaceutical Federation estimates that the provision of contraceptives in the country has decreased by 90%. This is causing an increase in sexually transmitted diseases, particularly HIV, in illegal abortions and in sterilization. Between 2015 and 2016, maternal deaths increased by 65% in Venezuela, overshadowing recent advances and moving backwards to the prevailing situation twenty-five years ago. According to Amnesty International, between 2015 and 2016, maternal deaths increased by 65% in Venezuela, overshadowing recent advances and moving backwards to the prevailing situation twenty-five years ago. The main causes include lack of drugs, health tools, basic medical equipment and resources, and the shrinking number of medical personnel, mainly due to migration. The situation has led many pregnant women in desperate situations and fear of maternal-neonatal death, to embark on an exodus to neighboring countries - Brazil and Colombia – in order to give birth to their child. The number of arrivals from Venezuela to neighboring countries, according to the UNHCR, has steadily increased, reaching 5.000 per day in early 2018. 40% of the more than 56.000 Venezuelan citizens who crossed their country’s borders in January 2018, are women. Their exposure to violence, risks, insecurity and to the anti-immigration sentiments which are beginning to spread in the region are part of these women’s daily struggle to meet their basic needs and secure their rights. Beyond constitutional principles, South American nations and regional organizations must protect the "right to decide" in order to avoid the trap which prevents women from securing their rights and dignity.